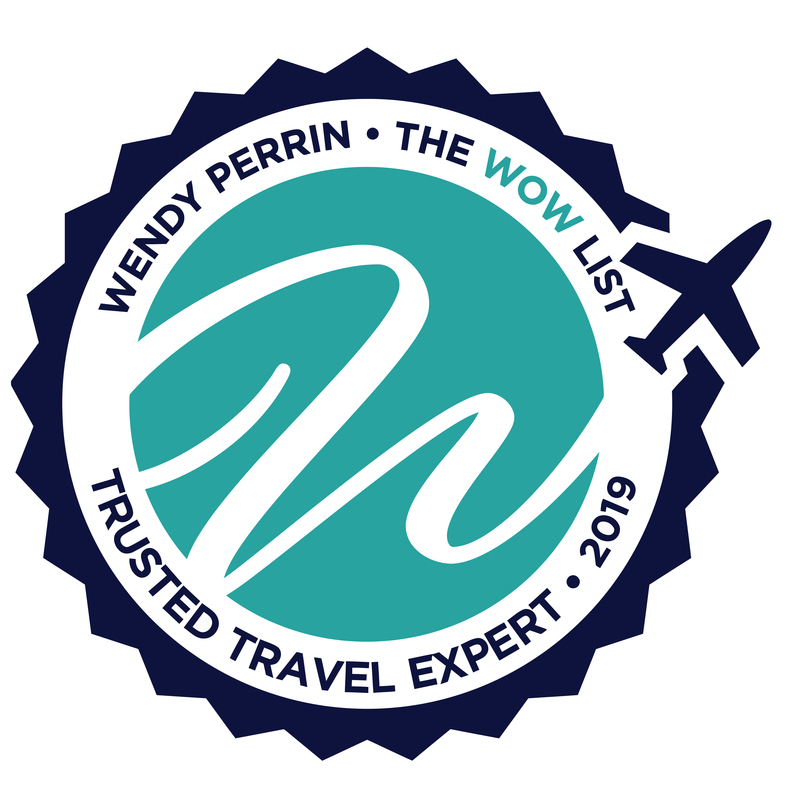 Jordan Harvey is on Wendy’s WOW List of Trusted Travel Experts for his expertise and connections in Patagonia and Chile. The reviews below are from real travelers who’ve taken trips that were arranged by Jordan and monitored by Wendy. Jordan and his team did a great job planning our trip to Chile with less than 90 days leeway. I told him where we wanted to go (Valparaiso, Lake District, and Atacama), how much time we had, and what our budget was, and he made it happen. His hotel recommendations were great and lived up to the advance billing, the tours he set up for us in and around Valparaiso were fun and rewarding, and he set our trip up where we had little to do but pack our bags and enjoy. Just as we literally were leaving to the airport in NY he emailed that our hotel in Atacama had been shut down by record rains/flooding but not to worry, he had found a comparable replacement — and he was right. Explora Atacama was great and we never missed a bit. Jordan was knowledgeable about everything we needed to know and having his affiliated agency book all our flights made our trip so seamless and worry-free that we truly could escape and relax on our vacation. Jordan and his associates were responsive to all of my questions and requests and made our trip most memorable. I would not hesitate to refer anyone wishing a fabulous vacation in Chile to Jordan and his agency. The trip was a smashing success. Jordan’s staff was a pleasure to work with — both during the planning of the trip as well as during the trip itself. They were responsive, courteous and on the ball. The trip was a smashing success. We loved Chile and every aspect of our trip was well conceived. My family and I just returned from 2 weeks in Chile which we booked with Jordan Harvey. We spent half the time in the Atacama Desert and the other half in Chilean Patagonia, two of the most amazing and diverse places on earth. Jordan and Kayli were so wonderful, taking into consideration the wishes of our family (we traveled with 3 adult kids), being that the kids wanted some technical hiking and climbing, while we wanted trails where we could walk and enjoy the wildlife and awesome scenery (we even saw a puma in Patagonia!!) Jordan suggested Tierra hotels, which I can’t say enough great things about-from the accommodations (esp the otherworldly blend-into-the-scenery hotel Tierra Patagonia), to the guides who were great fun and knowledgeable, to the food, to the absolutely phenomenal service in each place. One of my sons is gluten free and we all agreed that the staff in the hotels were 100% attentive to his diet, more than anywhere we have seen before! During the Patagonian portion of our trip, we had an opportunity to see the Explora hotels—since Jordan and I had had a few discussions about the hotels, I had to agree Tierra was the best choice for us as Jordan advised. He also suggested staying in the Larrastia neighborhood in Santiago which he was 100% correct about since it was full of life and great wine bars. All our transportation, from in-country flights to private vans were on time and attentive. Both Jordan and Kayli were immediately responsive when an unusual amount of rain had closed some of the attractions in Atacama the week before our trip, and were in touch with people on the ground in Chile. They were also very helpful as well when it came to packing the right clothing-especially important since the weather in Atacama was hot, and that in Patagonia was windy and much colder. Can’t say enough good things about Jordan and Kayli- thanks for a trip our family won’t ever forget and thanks to Wendy’s WOW list! We just returned from a fabulous trip put together by Jordan and Kayli to Argentinian and Chilean Patagonia. Everything they arranged for us there was six stars. The accommodations they recommended were in secluded and dramatic settings, with superb food and incredible personalized service. The scenery was breathtaking and the guides selected by them for us made sure that we saw it all. Each guide, as I had requested, was also a photographer who helped me tremendously in improving my skills as to what pictures to take and how to take them. I also note that we planned this trip late for us to get into the places that Jordan had suggested, but somehow Jordan (surprising even himself) was able to get it all to work. I highly recommend Jordan and his team. Jordan and his colleague Amanda were both easy to work with and accommodating of my wishes. The proposed itinerary worked well in practice and contributed immensely to our overall enjoyment of the trip. The suggested hotels worked perfectly for our needs, smaller, boutique establishments with character. The guides he arranged in Santiago, Easter Island and particularly in Mendoza were all excellent. We particularly enjoyed the company of Anna in Mendoza. Amanda was particularly helpful at the detail level, while Jordan looked more at the big picture. As it should be and as I expected. We would be delighted to have Jordan and his team organize any future visit the region. Good mix of outdoor adventure and luxury touches. My wife and I are back from our first trip to South America, visiting Chile and Argentina. We worked with Jordan and his team to put together a trip that mixed hiking, wine tasting, and big city tours. They did a flawless job organizing the somewhat complex itinerary and provided outstanding guides and drivers in every venue ( which is always critical on these trips). As expected the high-end hotels were excellent but the “boutique” hotels they selected also were great and interesting to visit. For sure, anyone visiting this area should stay at Awasi, even though pricey. The wine tastings that were arranged in Mendoza were well done and our boutique hotel at a vineyard there (Finca Adalgisa) was fun with good wine and a great cooking class. All around a great trip with a good mix of outdoor adventure and luxury touches. I’m happy to note that our 17-day South American trip planned by Jordan Harvey and his staff (Chile’s Pucón and Puerto Varas followed by Argentina’s Bariloche, Mendoza, and Buenos Aires) was delightful. This is the latest of several trips (at least New Zealand, Hawaii, British Columbia and Eastern Europe) organized for us by your recommended experts. Wendy, you may recall that you helped us switch early on in our South America planning from Maita to Jordan. Like a lot of professionals who have led or run organizations, we have high expectations and are detail oriented. At the same time, we think that travel should be great fun, we love meeting people, and have established persisting relationships through travel over the decades with people around the world. — MOST IMPORTANT: RELIABLE JUDGEMENT: Jordan and I initially had a long conversation discussing our style, hopes and (some physical) limitations, and those ideas were beautifully realized in the selection of locations, lodging, activities, and guides. Although such discussions are pretty typical when planning a trip, sometimes details aren’t noticed, are misinterpreted, or aren’t weighted properly by travel planners. Jordan’s choices were pretty much exactly what we were after given our taste, range of experience and budget. In my opinion, this ability to accurately “read” clients is arguably the most important characteristic of a travel planner. — RESPONSIVENESS: Jordan and Krista, his administrative assistant, were immediately on top of things that we perceived as problems during planning or that arose during the trip itself. For example, we had difficulty scheduling a meal for New Year’s Day in Mendoza for a variety of reasons: because most places were closed for the holiday; the fact that establishments in that region tend to take a very casual attitude toward longer-term (like six weeks…) planning; and the (bordering on comic) expense of being transported on New Year’s. Krista made numerous contacts over months to arrange what became a lovely cooking demonstration and meal at a vineyard, with transportation at about one-third the originally quoted price. We also have relatives whom we wanted to visit spread through Buenos Aires and she was able to arrange private transportation that was punctual, convenient and cost less than the standard taxi services. — INTERACTIVE EASE: I found Jordan and Krista very easy to relate to verbally and digitally. They always seemed to easily grasp what I wanted and were timely in addressing all issues. — QUALITY OF GUIDES/TRANSPORTATION: We have traveled extensively and have cultivated, formally and otherwise, a good bit of historical, artistic and cultural experience/knowledge. Because I love expanding my knowledge base, it bothers me when I feel that I may know more about his/her subject than a guide or when he/she is repeatedly unable to address topical questions. The guides arranged by Knowmad were top-notch in terms of both professionalism and scholarship, and very consistent with our style, and the character of the associated transportation and the drivers’ ability to work well with the guides was exactly what I expect from a quality planner. Example: We were usually short of cash because the banks that we visited, especially in Argentina, limited the amount that could be withdrawn from an ATM daily and per visit (apparently related to older currency stabilization laws/regulations that had never been modified). The guides/drivers were both aware of the withdrawal rules and had a circuit of ATMs that they’d weave into the plans for adventure activities. In sum, we were delighted with Jordan and Krista and would engage them again for South American travel without hesitation. Jordan Harvey and his team organized our holiday trip to Chile and Patagonia for our family. He asked all the right questions beforehand and custom designed the perfect vacation for our very active family. We missed our connection on the way home and his team member Krista bent over backward. She helped find flight alternatives, furnished us with hotel options, helped plan the following day’s activities and kept in constant contact. She’s a true gem. I would not hesitate to recommend Jordan and his team to anyone planning travel to Chile & Patagonia. I knew I could work on planning a trip with Jordan after our first phone conversation. He listened to my interests and then provided some suggestions. 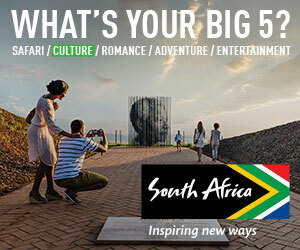 I truly felt he knew the area we wanted to travel and could provide a great deal of feedback on hotels, itineraries, etc. What I don’t want when planning a trip is a “cookie-cutter” itinerary…Jordan didn’t do that. We had a fabulous ten day trip to Chile and everything went smoothly. His drivers, guides, etc. were all great. I definitely would recommend Jordan and his team for travel in South America. Great trip. We loved Jordan’s choice of the Explora lodges at both Easter Island and the Atacama Desert. It fit our description of a “land cruise” – the ability for us to spend time together as a family and yet allow different family members to choose different activities during the day depending on our preferences and energy levels. For example in Atacama, one day I went along with a guide for a walking historical tour of San Pedro, my husband and daughter took a bike ride through a beautiful valley and our son hiked with a guide to a mountain top at 18,000 feet! Jordan of Knowmad Travel was charming, responsive and creative in planning our trip to Chile in February of this year. We were a group of four people with varying degrees of physical ability and diverse interests that ranged from hiking to culture, to meeting local people, appreciating the environment and satisfying our appetite for good food and wine. Jordan, with much of our input, organized our stays at remarkable resorts in both Chiloe and at Vira Vira in Pucon. 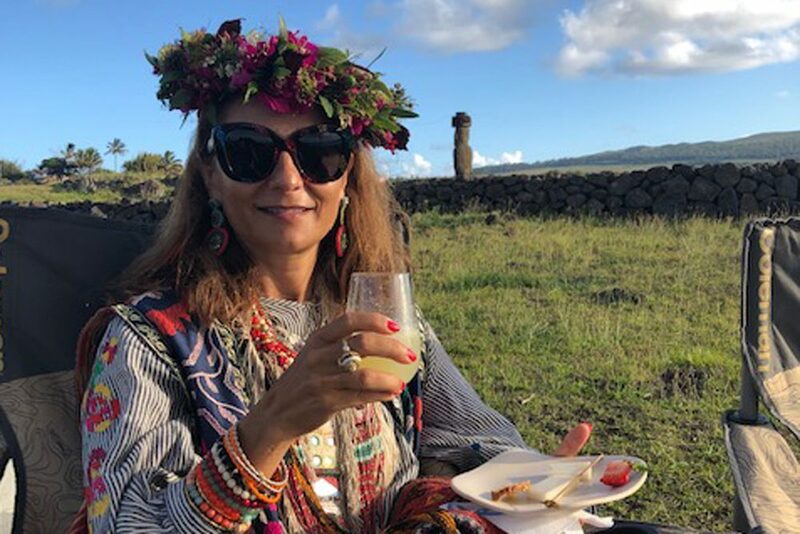 The experiences at those places combined all our interests and provided us with extraordinary guides, memorable activities, and excellent food and wine. We got to see the Pablo Neruda houses in Santiago and Valparaiso and were impressed with the guides who accompanied us, some of whom became friends. In addition, when one of our group had her purse taken (with her passport) on the first day in Santiago, Jordan’s team and our guides made sure that we could continue our trip; got in touch with the embassy; took our passportless friend to the embassy before we left for home and got her a temporary passport in an hour. They were totally supportive and helpful. They should go to the top of your WOW list. Thank you for introducing us to Jordan. A small group of us just returned from a two-week vacation in Chile (late January to mid-February 2017) arranged by Jordan Harvey and his staff. It was one of the best vacations I’ve ever taken, thanks in large part to the careful planning and attentive service of the Jordan and his staff. We traveled to southern Chile, Chiloe, and then returned to central Chile to visit Valparaiso and the wine country. All of our destinations and hotels were first-rate, as were the guide services. On top of that, I lost my passport while traveling and Jordan’s staff was very supportive, helping me through the process of getting a replacement. I would definitely use him again on any future vacation to South America.